5th edition of the International Festival for Drums and Traditional Arts (20-26 April). Performances by troupes from around the world. The Misfortunes of Some by director Omar Amiralay. Gamal El-Sagini retrospective exhibition celebrating the artist’s centennial. Opening will be at 5.30pm at Mahmoud Mohktar Museum, and at 8pm in Zamalek Art Gallery. Writer Mena Nagui will discuss and sign his novel Bela Agnehaa (Without Wings). Excellencies, a group exhibit by Mohamed Hakim, Mohamed Effat, Toghan Rakha, Sarokhan. Double Projection by director Omar Amiralay. 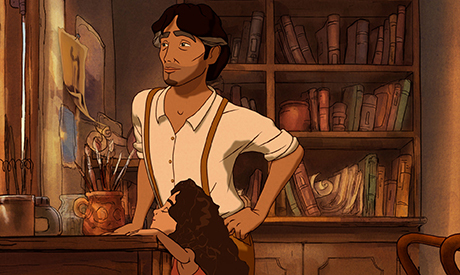 Screening of Khalil Gibran’s The Prophet. Read more here. The Gentleman Caller play. Read more here. 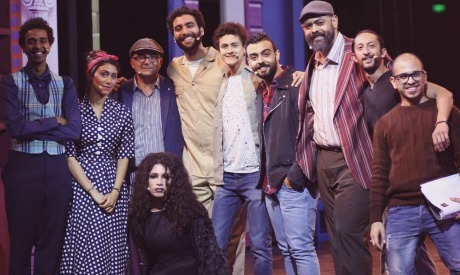 Al-Ashq Al-Masmouaa (The Overheard Love), a play directed by Mohamed Allam. Piano Duo Recital: Yasser Moukhtar, Mahmoud Mekhemar, Iman Nour El Din, Sara Darwish. Gala Concert- Cairo Opera Company, Cairo Opera Orchestra. Rock musical Leila. Read more here. Qawaaid Al-Ashq Al-Arbaain (The Forty Rules of Adoration), a play based on a text by Rasha Abdel-Moneim. 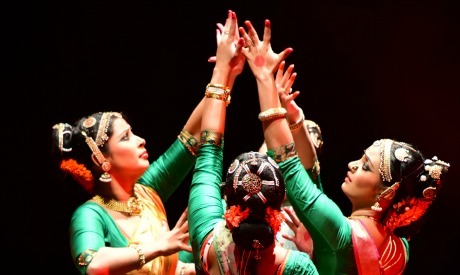 Dramatic Tales from Mythologies, dance by Vanashree Rao & The Dance Project. Part of India by The Nile Festival. Doctorah Fi Al-Hob (A Doctorate in Love), a play directed by Maher Selim. 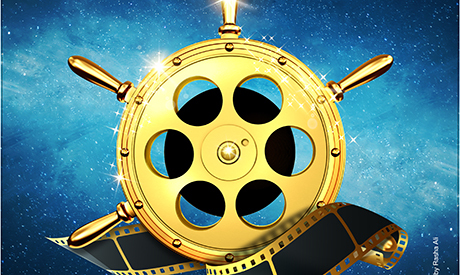 19th Ismailia International Film Festival for Documentaries and Shorts (19-25 April). Read more here. Layers of Green, a group exhibiting featuring Ahmed Abdallah, Amira Adel, Hoda Ragaa, Mahmoud Sherif, Sabah Naim, and Sayeda Khalil. The exhibition runs until 25 April. 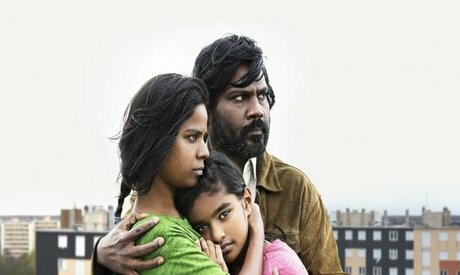 Screening of Dheepan. Read more here. Writer Carmine Kartolato will discuss and sign his novel Momo. Fabrica music troupe performs Disney songs. Writer Abdel-Rehim Kamal will discuss and sign his novels Bawab Al-Hana (Porter of the Pub) and Al-Magnouna (The Insane Woman). El-Tanoura Troupe for Cultural Heritage, whirling dervishes perform to live Sufi music. Korean band Expression Crew: dance and the art of drawing with sand. 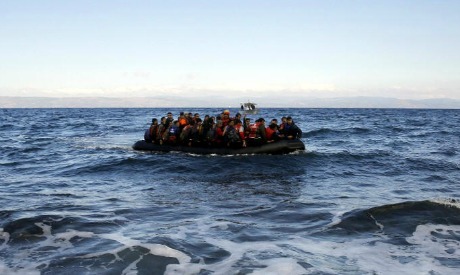 Film Screening: Fire at Sea (2016). Writer Manar Hegazi will discuss and sign her novel Salaman Aala Mariam (Peace be on Mariam). Screening of A Flood in Baath Country. A chamber music featuring Kholoud Sharara. “Images of Truth”, a musical adaptation of Mahatma Gandhi through the Ishara puppet Theatre Trust founded by puppeteer and director D. Pudumjee and featuring Puppeteers: Neetu Kumari, Kumari Yadav, Anil Kumar. A collective exhibition of paintings by artists including Tasneem El-Meshad, Sherif Abdel-Qader, Salam Yousry, Medhat Mourad, and more. The exhibition runs until 30 April. Horra, an exhibition of paintings by Karim Abdel-Malak. The exhibition runs until 30 April. Screening of Hin und Weg 77 Plätze (in German with Arabic subtitles). Music Talks I/ Music- What for? - a lecture by music and philosophy professor Doris Koesterke. Event is part of the Cairo Contemporary Music Days 2017. Check the full programme here. Screening of Un Rond-Point Dans La Tete (A Roundabout in My Head). Amer El Tony and the Egyptian Mawlaweya. Anta Fein Ya Qamar (Where are your Moon? ), a play starring written by Hatem Azab, directed by Hassan Saad. Egyptian Contemporary Music Ensemble and L’Ensemble (Lithuania), conducted by Vykintas Baltakas. 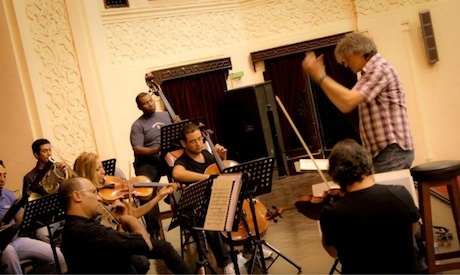 Event is part of the Cairo Contemporary Music Days 2017. Check the full programme here. A Musical Finale: popular songs from the musicals such as West Side Story, Beauty and the Beast, Fiddler on the Roof, Pocahontas, etc. The Gypsy Jazz Project. Read more here. 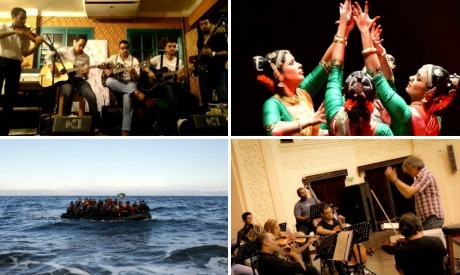 Alexandria Opera Ensemble for Aran Music and Singing. Cairo Bats Collective by Nadia Mounir, Mai El-Shazly and Magdalena: a talk about series of pictures spanning a period of two years taken on rooftops in the city. A discussions about the beginning of new music in Darmstadt, Germany, after World War II. 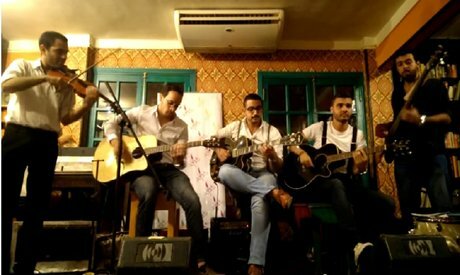 Event is part of the Cairo Contemporary Music Days 2017. Check the full programme here. L’Ensemble (Lithuania) and the Egyptian Contemporary Music Ensemble featuring the compositions by Hikari Kiyama, Zad Moultaka, Bushra El Turk, Hassan Taha and Øyvind Torvund. Event is part of the Cairo Contemporary Music Days 2017. Check the full programme here. YorkaBand (Ghagaria / Gypsy) concert. "The Particularity of Cinema”: a discussion with the filmmaker Maged Nader. ‘NUsic’, paintings by Asmaa Samy. Via Aurelia, sculpture exhibition by Naguib Moein. In the Presence of the Animal, paintings by Adel El-Siwi. Doa Aly & Islam Zaher: Remnants of Enchantment. Halfway Through the Thread, group exhibition focused on textile work. Read more here. Under the Sun, paintings by Artist Enas El-Kawa. “Messages,” a retrospective exhibition of paintings and drawings by artist Farid Fadel. “Imagination,” a duo exhibition of paintings by Asmaa Tageddin and Wafaa Al- Nashashibi. Bronze sculptures by Maged Mikhail. ‘Buzzing’, paintings by Salah El-Meligy, and ‘Stages’, sculptures by Hassan Kamel. An exhibition commemorating the 100th anniversary of veteran artist Sayed Abdel-Rasoul. A collective exhibition of paintings by artists including Tasneem El-Meshad, Sherif Abdel-Qader, Salam Yousry, Medhat Mourad, and more. Horra, an exhibition of paintings by Karim Abdel-Malak. Layers of Green, a group exhibiting featuring Ahmed Abdallah, Amira Adel, Hoda Ragaa, Mahmoud Sherif, Sabah Naim, and Sayeda Khalil.